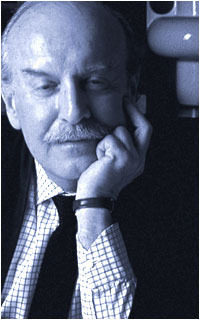 Sergio Asti was born in Milan in 1926. After graduating from Milan Polytechnical Institute in 1953, began work as an architect and product designer. Produced buildings and interiors mainly in Italy. His product designs have been commercialized by Artemide, Brionvega, Kartel, Knoll, Zanotta and others. His exhibition "Sergio Asti World" was held in Kyoto in 1983.